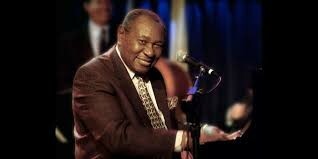 Freddy Cole doesn’t apologize for sounding like his brother, Nat "King" Cole. There are certain unmistakable similarities. He plays piano, sings and performs live with guitar and upright bass- just like Nat. Yet his voice is raspier, smokier, perhaps even jazzier. With 20 albums released in just the last the last two decades, Cole has carved out a reputation as an individual and prolific force in the jazz world. For more information, call 704-920-2753.